After leaving The Retreat, continued care can help you stay on track. Many residents choose to remain in the Baltimore area and continue their personalized therapy with a psychiatrist from The Retreat. Our treatment programs help us support residents while they manage their mental health and reintegrate into the community. Residents who have spent time at The Retreat may decide to continue treatment with specific team members after discharge. We handle these outpatient therapy sessions on an individual basis. You’ll need to live nearby to receive the appropriate treatment. 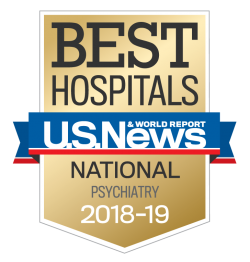 When an outpatient psychiatrist requests a consult or a second opinion, our psychiatrists are available on a limited basis. The Retreat’s psychiatrists may discuss new treatment approaches with your outpatient behavioral health team. If necessary, you may return to The Retreat for a full diagnostic exam. We use Dialectical Behavior Therapy (DBT) in our outpatient treatment environments. This effective therapy can meet people’s needs as they progress through the stages of treatment.